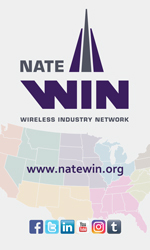 The Patent Trial and Appeal Board (PTAB) today denied a petition for Inter Partes Review (IPR) filed by CommScope Technologies LLC, which challenged the validity of CCI Antenna’s U.S. Patent titled “Asymm etrical Beams for Spectrum Efficiency,” and is one of several CCI Antenna’s patents relating to improving sector capacity and throughput in wireless networks. More specifically, the technology covered by the patent enables wireless operators to re-use their valuable spectrum and significantly increase capacity in dense LTE environments. After reviewing CommScope’s arguments, including all of the alleged prior art and expert testimony CommScope submitted, the PTAB denied the petition in its entirety. The PTAB specifically found that CommScope failed to demonstrate any reasonable likelihood that it would prevail in establishing the unpatentability of claims of the patent. CCI Antenna’s portfolio of bi-sector array antennas are designed using the asymmetry concepts and techniques in the patent and are recognized worldwide as the de facto standard for “twin-beam” or “dual-beam” antennas.